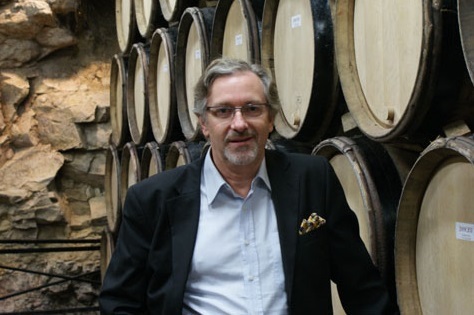 Laurent Ponsot is a controversial Burgundian figure – he is not one to follow trends and is quite vocal about the things he believes in. All this in a small region like Burgundy where nearly everyone is related to one another is quite unusual. Recently, his personal crusade has been against counterfeit wines. 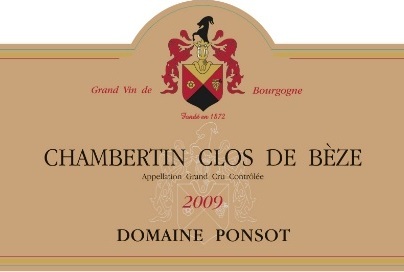 In 2008, he flew to New York to stop the sale of fake Ponsot wines at auction. Since then he has been involved with helping the FBI investigate and catch fine wine counterfeiters. Laurent Ponsot has publicly said that he believes more than 80% of Burgundy sold before 1980s are fake. He doesn’t understand why more producers are not upset and joining his crusade. He has tried to get other owners of top Burgundy domains to rally in his cause but they have been reluctant. At Domaine Ponsot, the philosophy is low-intervention winemaking – no fining, filtration or sulphur dioxide additions since 1998. Laurent is the first to admit that back 20 years ago, Domaine Ponsot wines were not consistent. His father was mayor of the village and spent more involved in politics than in the vineyard. Also during that time in the 1960s and 1970s, the climate was very different with only a handful of vintages per decade allowing the Pinot grapes to fully ripen. The change has been dramatic at Domaine Ponsot since 1990. All of Ponsot’s wines are highly sought after buy buyers and bidders at auction. This one wine sums up Laurent Ponsot’s style and direction: In 2004 Laurent replanted the historic Clos des Monts Luisants Monopole vineyards in Morey-Saint-Denis with Aligote, not a logical choice for most who associate white Burgundy with Chardonnay. Ponsot’s justification for pulling out all the Chardonnay and replacing it with Aligote was that prior to 1965, the vineyard was 100% Aligote. The results speak for themselves and the Monts Luisants Blanc from Ponsot is one of the most coveted wines from the region, as much for its unique personality as its high quality.